In a comparatively short time frame Holland’s Sander van der Waal released his debut album on In Trance We Trance, before changing lanes for the new creative aesthetic of its Magik Muzik follow-up. 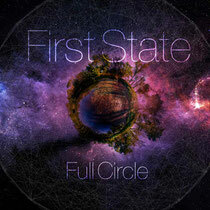 Now, in 2014, he completes that initial three-album arc with ‘Full Circle’. For this new long-player, the spectrum of Van der Waal’s sound becomes ever yet more expansive as the album frequency hops across genre bands, often inside the confines of a single track. Also along for this sonic ride, he’s brought many vocalists, to the album, with performances by singer-songwriters including Eric Lumiere, Sarah Howells, Relyk, Tyler Sherritt and others. Drawing on sonic stylistic influences and inspirations from dance music andway beyond, ‘Full Circle’ brings a new track collection-come-expedition that through eclectic, tangents and curves, deserves a listen to from start to end. It’s out March 3rd through Magik Muzik.